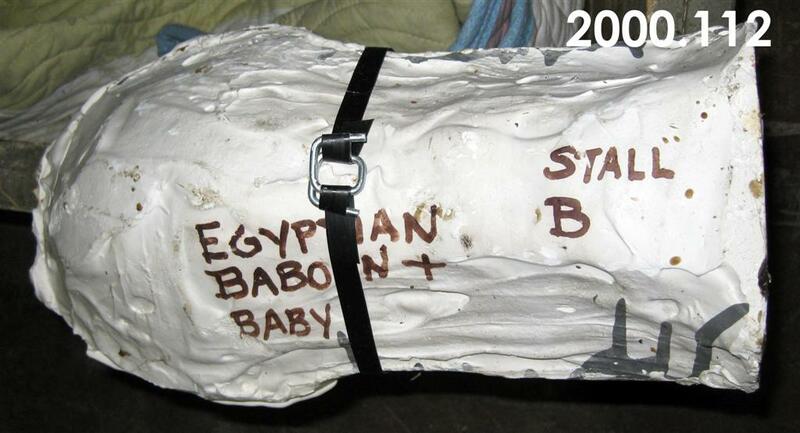 Plaster and rubber mold with "Egyptian Baboon & Baby Stall B" written on the outside. Plastic strap holds mold together. Fredericks, Marshall M., 1908-1998, “Egyptian Baboon, Mold, [Plaster and Rubber],” Marshall M. Fredericks Sculpture Museum, accessed April 20, 2019, http://omeka.svsu.edu/items/show/5719.